Adding the right accessories to your firearm can personalize it to you, improve your accuracy and enhance your Shooting experience. Since the stock Uzi has a 16” barrel (rather than the SBR Uzi that has a 10 1/4” barrel) it looks a little ungainly. So for cosmetic reasons we wanted to put a vented shroud on the carbine. We could try to say that it was to protect us from the hot barrel, but that would just be lying. We just wanted the firearm to look better. The criteria that we use to evaluate barrel shrouds for a folding stock pistol caliber carbine are: 1) was it specifically made for the firearm, 2) fit and finish and 3) price. Although there are some niche manufacturers that are making Uzi shrouds these days we preferred to have one that was from a larger source. The only problem with that is that you then have to buy an older shroud on the secondary market. So off to GunBroker we went. Luckily we found someone that had a 1982 “new in the box” Federal Ordnance Nine Inch Plus Barrel Shroud for sale. We bought it, screwed it on and were good to go. You can buy a shroud like this at gunbroker.com or you can buy other shrouds at from sites like uzigunparts.com. Since the Kriss Vector has the charging handle, bolt release and magazine release close to the hand position on the front left side of the firearm, we decided to add a vertical grip to the firearm’s 3” MIL-STD 1913 Picatinny bottom rail. The criteria that we use to evaluate vertical grips for a pistol caliber carbine are: 1) height of grip, 2) width, 3) feel in your hand, 4) durability, 5) sturdiness of attachment to Picatinny rail, 6) price. There are lots of vertical grips on the market; folding, fixed, thin, wide, solid, hollow. You name it and it’s probably out there. After investigating what was out there we purchased the MFT React Short Grip. This grip measures 3.96" tall, 1.38" wide and 2.2" long, and weights 2 oz. It has a flat non-slip bottom surface that has a secure water-tight plug which allows you to store extra batteries, sight adjustment tools, or other small items in the grip. The grip was designed to provide a positive grip surface with wet or gloved hands and allows your support hand to keep the weapon shouldered more securely to provide better muzzle control and accuracy. Once we bought the grip it slipped right onto the Picatinny rail and provides a very stable handle to the firearm. You can buy this vertical grip at Cabela's. We like a lot of things about the CZ Scorpion EVO 3 S1 carbine; but the pistol grip is not one of them. The stock grip has a steep angle for a carbine, a bell shaped bottom and the circumference seems a little too large. We knew this when we purchased the CZ; luckily there are a few aftermarket replacement grips available for the Scorpion. The criteria that we use to evaluate replacement grip for a pistol caliber carbine are: 1) fit to specific firearm, 2) angle of the grip, 3) height of grip, 4) width, 5) feel in your hand, 6) durability, 7) sturdiness of attachment to the firearm and 8) price. After comparing the options on the market we purchased the Pakse Pathfinder Grip. The Pakse pistol grip fits the Scorpion carbine, pistol and SBR models, features a more vertical grip angle for improved comfort and increases the index finger clearance to the safety selector. 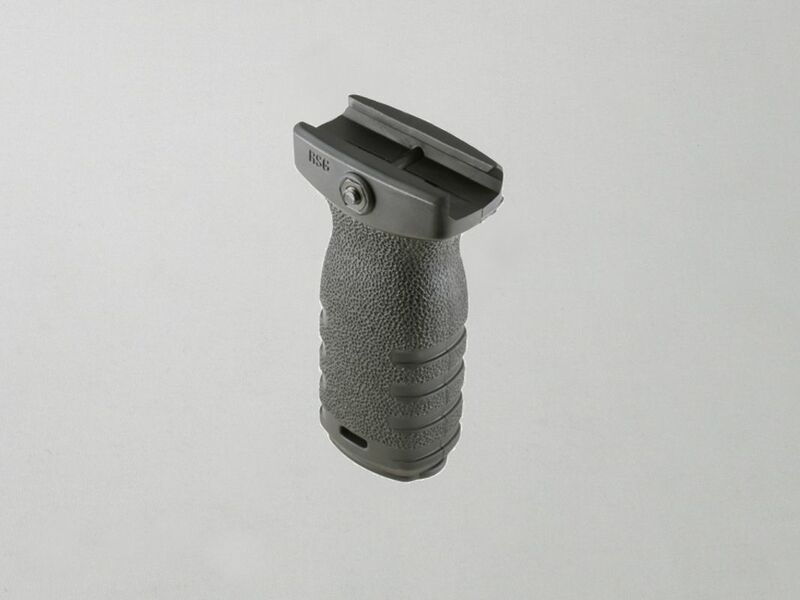 Made of reinforced high strength and high temperature resistant polymer, the grip weighs 2.7 ounces and is 922R compliant. Although the charging handle that comes stock on the CZ Scorpion is well made and functions as designed, we prefer to have a slightly larger handle to grip when charging the firearm. Once again, luckily there are several aftermarket options to replace the stock charging handle. The criteria that we use to evaluate replacement charging handles for a pistol caliber carbine are: 1) fit to specific firearm, 2) construction quality, 3) width of the grip handle, 4) feel in your hand, 5) durability and 6) price. After looking at all the available options we purchased the HBi Industries CZ Scorpion Prostock Charging Handle, primarily because it is similar in design to the Scorpion’s stock charging handle in look and feel, but is slightly larger and consequently provides a more robust control handle for charging the firearm. The 6.25mm ProStock Charging Handle is ambidextrous and can be used on either the right or left side of the Scorpion. 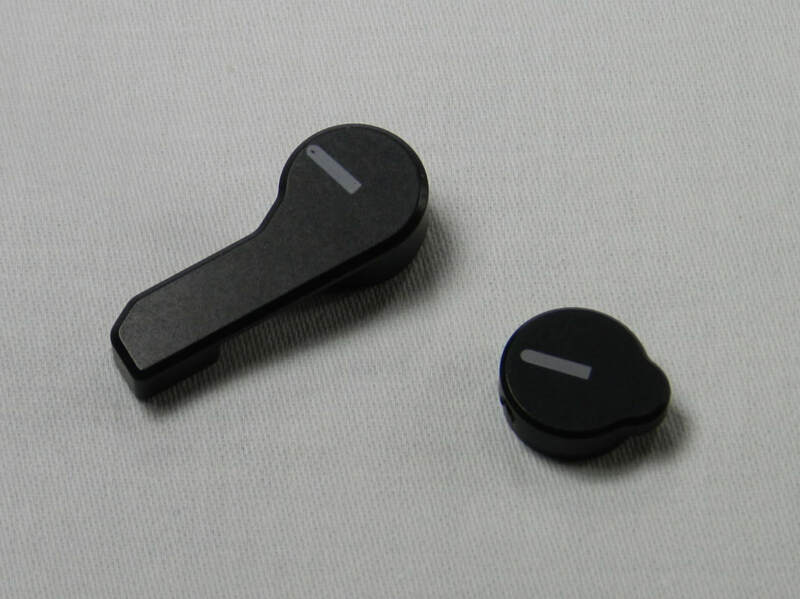 The finger catch handle is molded from high performance polymer and the charging rod is machined from precision ground 17-4 stainless steel and black nitride finished. The handle blends right in with all of the factory lines and shapes but it is almost twice the surface area of the stock factory charging handle. 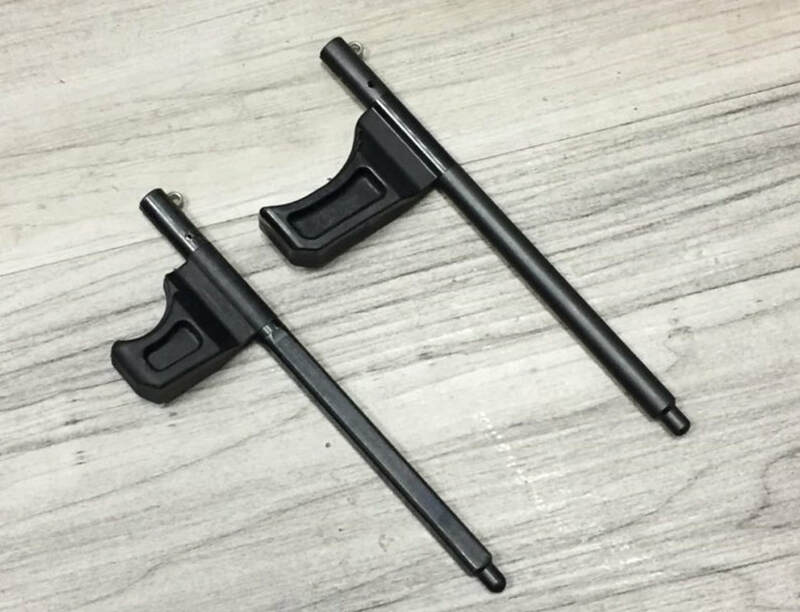 Here is a photo from HBi’s website showing the factory CZ charging handle and the HBi replacement handle side-by-side so that you can compare the differences. The replacement handle fits both the CZ Scorpion EVO3 Pistol or Carbine, and replacing the charging handle is easy, only involving the removal of one roller pin. 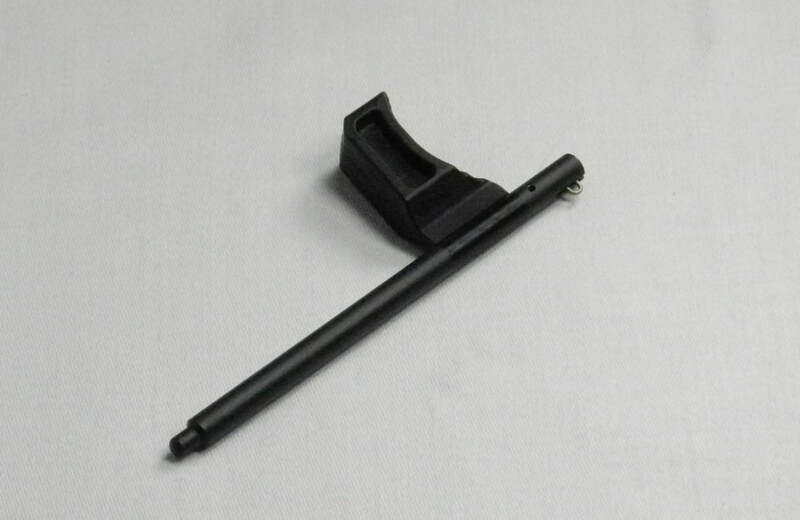 You can buy this CZ replacement charging handle at HBIndustries.net. As with other modifications that we made to the CZ Scorpion EVO 3 S1 carbine, our decision to change out the left and right side safety selector switches was purely a personal preference since the selectors that come stock on the CZ Scorpion are well made and function as designed. Our primary reason for making the changes were slightly different for the left side and the right side. Since we are all right-handed we wanted the safety selector on the left side to have a little more leverage than the stock CZ selector. 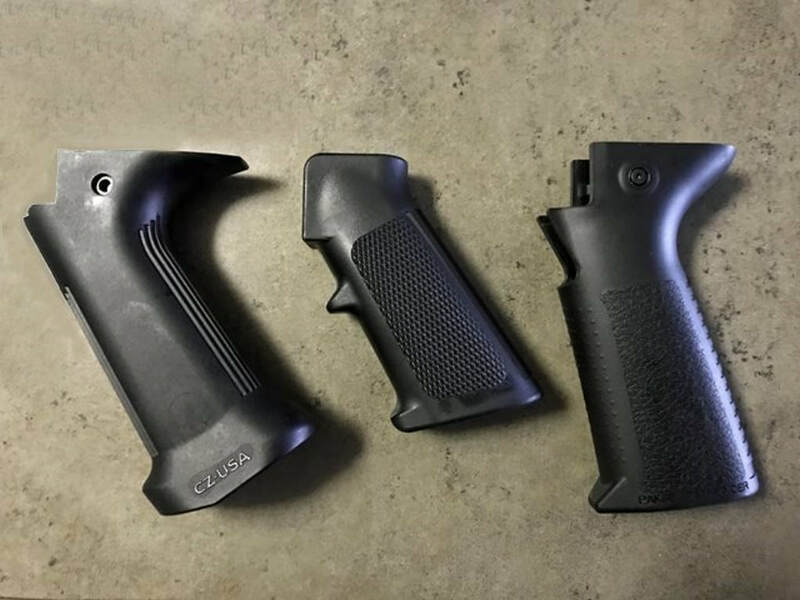 On the right side we wanted to eliminate the safety selector since the stock selector tended to poke into our hand when firing the firearm for an extended period of time. The criteria that we use to evaluate replacement safety selector switches for a pistol caliber carbine are: 1) fit to specific firearm, 2) construction quality, 3) length of the switch, 4) feel on the firearm, 5) durability and 6) price. In both cases we purchased replacement safety switches from HBi Industries. For the left-side switch the “AK style” design allows you to comfortably manipulate the safety with a simple flick of your index finger. The right-side Safety Delete switch eliminates the entire safety lever and thus the ambidextrous safety switch setup that comes stock on the Scorpion. The safety switches are machined from billet 6061T6 aluminum, are hard coat anodized to MIL-A-8625 and are laser etched with a position indicator to clearly communicate safe/fire status. Replacing the selector switches is fairly easy, involving removing the trigger group and using a small Allen wrench. You can buy both the left-side CZ replacement Mini AK-Style Safety Selector and the right-side CZ replacement Safety Delete v2 Selector at HBIndustries.net. The last significant parts that we replaced on our CZ Scorpion EVO 3 S1 carbine were the trigger and trigger spring. Since the stock trigger pack has a pull weight of almost 10 lbs we really wanted to lighten it up. While we were at it we also wanted to put in a more ergonomic trigger. The criteria that we use to evaluate replacement triggers and springs for a pistol caliber carbine are: 1) fit to specific firearm, 2) construction quality, 3) ergonomics, 4) feel in the firearm, 5) durability and 6) price. 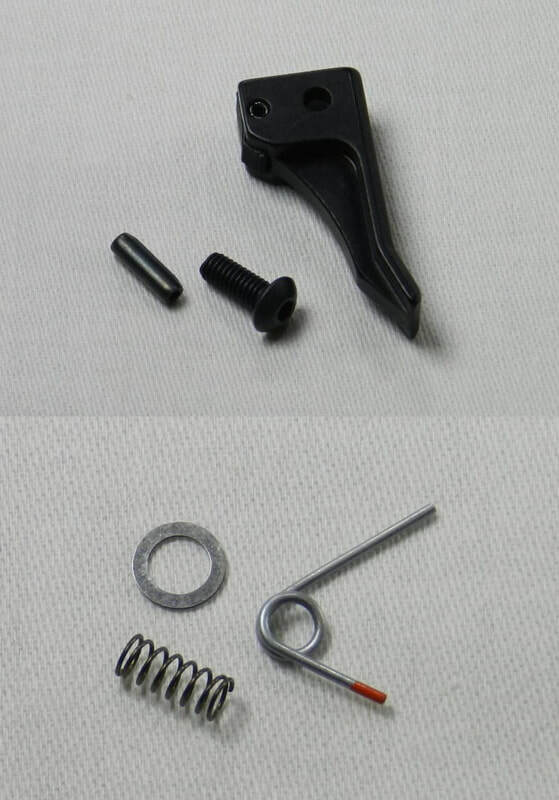 We first looked for the replacement spring and found what we need at HBi Industries with their CZ Scorpion EVO 3 S1 Reduced Weight Trigger Spring Kit. 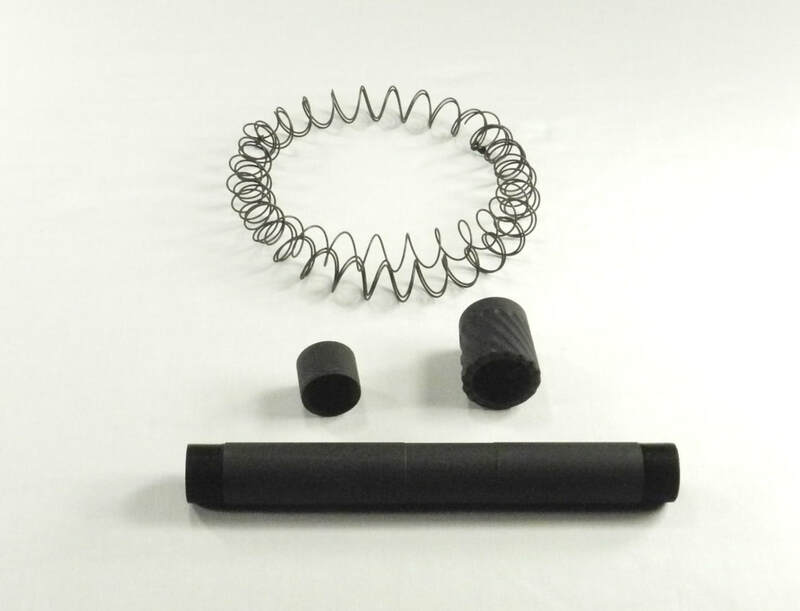 This spring kit reduces the pull to approximately 5.5lbs by removing the factory trigger and disconnector springs (parts #63 and #50 respectively on the factory parts diagram) and replacing them with new trigger and disconnector springs. Although HBI also sells Scorpion triggers we decided to go with the CZ Scorpion Flat Trigger from Shooters Element. The improved ergonomics and added leverage of this trigger provide an additional 7% to 10 % reduction in pull weight; and we like the flat feel of the trigger. The trigger is machined from billet 6061 aluminum, sealed with a Type II hard black anodize coat and has a high strength stainless steel roll pin. The trigger is also on the ATF list of 922R parts list. Replacement of the factory case retaining screw on the Scorpion. (Part #48) can sometimes cause the retaining screw to get stripped while changing the trigger, or routine cleaning, so we bought one of those too, just in case. You can buy the replacement trigger at Shooterselement.com and can ​buy the trigger springs at HBIndustries.net..
Like our Uzi, the end of the barrel on the S&W 15-22 looked a little bare, so we decided to add a shroud to it. Since we did not want to have a gunsmith cut threads into the gun’s barrel, we decided to look for one for non-threaded barrels. The criteria that we use to evaluate barrel shrouds for a small caliber multi-shot rifle are: 1) was it specifically made for the firearm, 2) will it mount without a threaded barrel, 3) fit and finish and 4) price. 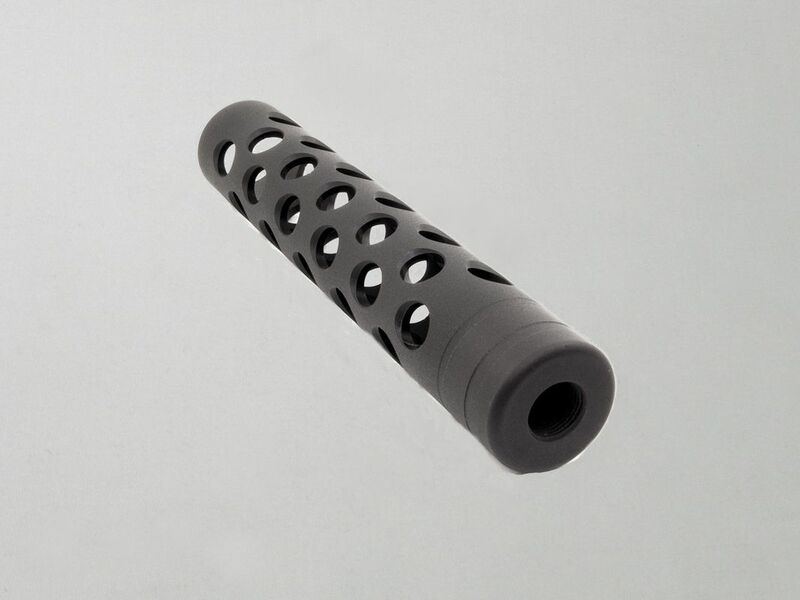 After searching around we found what we were looking for, a 6“ Tacticool Vented Barrel Shroud for Non-threaded Barrels. This vented barrel shroud is specifically made for S&W 15-22 rifles with non-threaded barrels, and is held in place with a set screw. 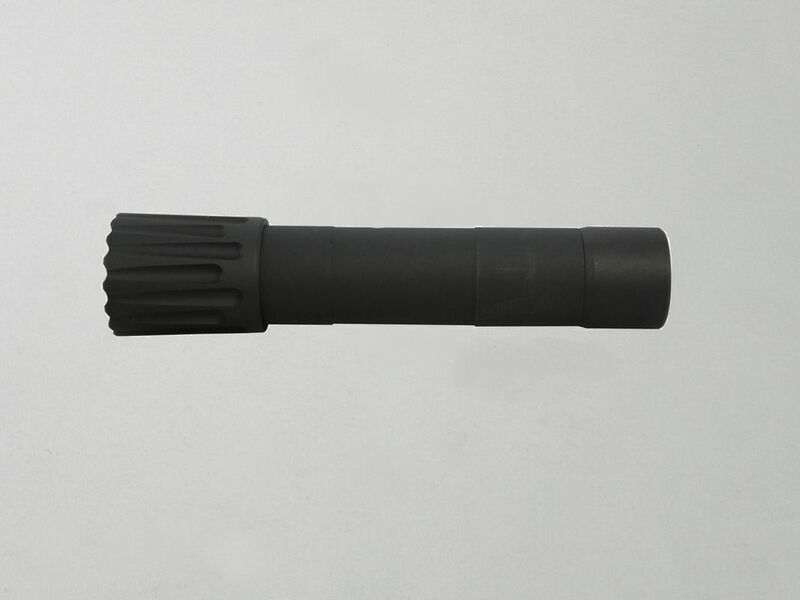 It has 44 ventilation holes and a black hardcoat anodized finish to Type III Mil-Spec. In our opinion it makes the firearm look better and that’s all it really does. But that’s what we were looking for – so it’s all good. You can buy this gear at tacticool22.com or their associated site mp1522.com. Since we shoot our S&W 15-22 in a somewhat tactical manner (as opposed to precision target shooting) we decided to add a vertical grip to the firearm. 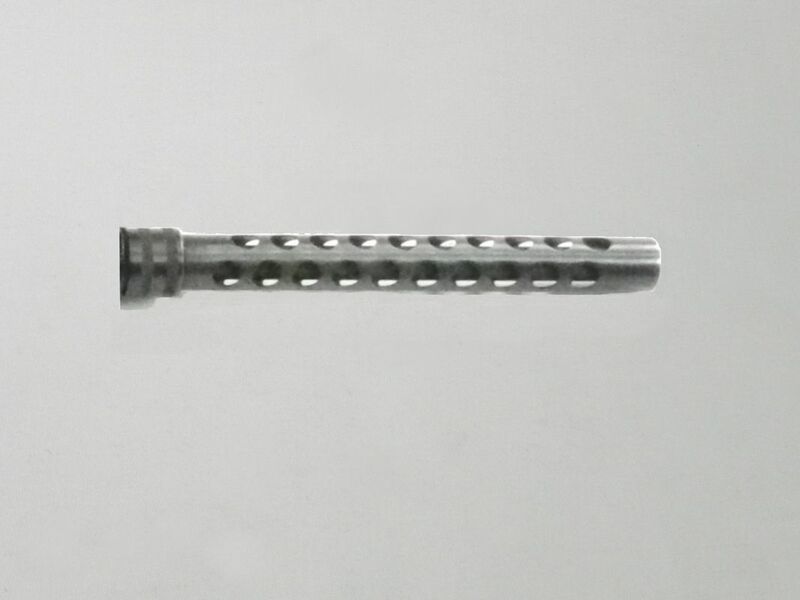 The criteria that we use to evaluate vertical grip for a small caliber multi-shot rifle are: 1) height of grip, 2) width, 3) feel in your hand, 4) durability, 5) sturdiness of attachment to Picatinny rail, 6) price. There are lots of vertical grips on the market; folding, fixed, thin, wide, solid, hollow. You name it and it’s probably out there. After investigating what was out there we purchased the MFT React Short Grip. This grip measures 3.96" tall, 1.38" wide and 2.2" long, and weights 2 oz. It has a flat non-slip bottom surface that has a secure water-tight plug which allows you to store extra batteries, sight adjustment tools, or other small items in the grip. The grip was designed to provide a positive grip surface with wet or gloved hands and allows your support hand to keep the weapon shouldered more securely to provide better muzzle control and accuracy. Once we bought the grip it slipped right onto the Picatinny rail and provides a very stable handle to the firearm. You can buy this vertical grip at Cabela's. For the same reason as with our S&W 15-22 we wanted to add a vertical grip to our Stag Model 9 AR-15. The criteria that we use to evaluate vertical grip for a pistol caliber multi-shot rifle are: 1) height of grip, 2) width, 3) feel in your hand, 4) durability, 5) sturdiness of attachment to Picatinny rail, 6) price. 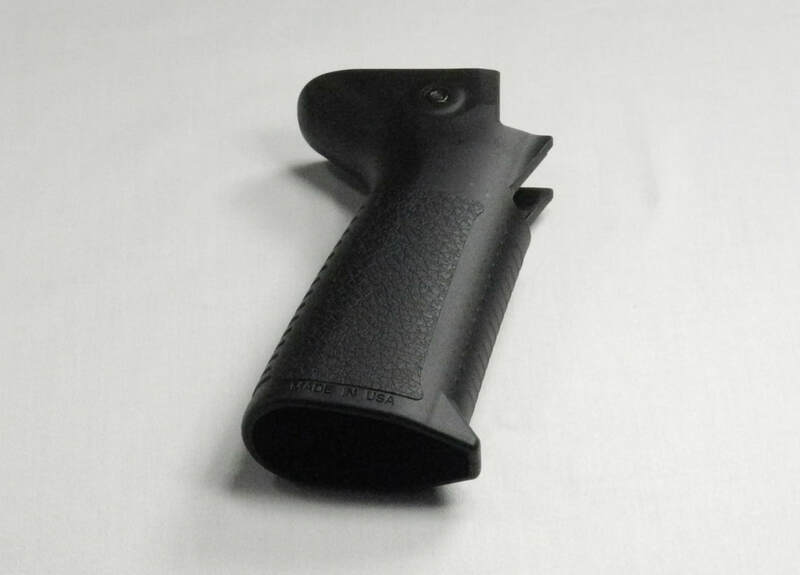 Since we liked it on our S&W 15-22 we purchased another MFT React Short Grip. This grip measures 3.96" tall, 1.38" wide and 2.2" long, and weights 2 oz. It has a flat non-slip bottom surface that has a secure water-tight plug which allows you to store extra batteries, sight adjustment tools, or other small items in the grip. The grip was designed to provide a positive grip surface with wet or gloved hands and allows your support hand to keep the weapon shouldered more securely to provide better muzzle control and accuracy. Once we bought the grip it slipped right onto the Picatinny rail and provides a very stable handle to the firearm. You can buy this vertical grip at Cabela's. Since the stock setup for the Benelli SuperNova 12 Gauge Tactical Pump is only supports four 2 3/4” shells in the tube we decided that we wanted to add a tube extension to the firearm. The criteria that we use to evaluate tube extensions for a shotgun are: 1) compatibility with Benelli SuperNova, 2) number of additional shells, 3) length of tube with respect to the end of the barrel, 4) manufacturing material, 5) fit and finish, 6) ease of installation, 7) ability to remove if desired and 8) price. After researching extensions we purchased the Nordic Components MXT +2 Modular Magazine Tube Extension Assembly(MXT-BR-2). Although this product comes in +1 (3.5”) to +9 (22”) variants we chose the +2 variant since it increased our firearm’s capacity from five (4+1) to seven (7) 2 ¾” shells (6+1) and the additional 5.875” length of the tube did not extend past the end of the barrel. The tube is precision machined from 6061 aircraft aluminum tubing for light weight and strength, and the replacement tube nut was designed to emulate Benelli’s original tube nut's general style and size. The tube comes with an oversize magazine tube spring that has to be trimmed to the appropriate length for the selected tube size. The tube also has a barrel clamp relief groove that stops the clamp from slipping and shifting under recoil, a reinforced end cap to better resist the damage that can be caused by heavy recoil or impacts, and identical threads on both ends of the tube body to allow it to be flipped around to change the location of the barrel clamp groove if needed to accommodate different barrel lengths. This entire package comes with the magazine extension tube, magazine tube nut, reinforced end cap and magazine tube spring. The installation was simple – screw off the original end cap, screw on the tube, trim the spring, screw on the new end cap and you’re done. You can buy this shotgun tube extension at midwayusa.com. Because we planned to add a sling to our Benelli, and to increase the stability of the tube extension, we wanted to add an extension tube clamp to our setup. The criteria that we use to evaluate tube extension clamps for a shotgun are: 1) compatibility with tube extension, 2) ability to support a sling swivel/adapter and 3) price. Because of the length of some of their tube extensions Nordic Copmpnents makes a companion Mag Extension Tube Barrel Clamp w/Picatinny Tac Rail. The barrel clamp connects the magazine tube extension to the shotgun's barrel to provide additional support for the tube and to prevent the tube from being damaged and/or misaligned with the receiver if bumped or dropped. The barrel clamp comes with a detachable Mini-Tac Rail, for adding a sling mount, light, laser or other Picatinny Rail compatible tactical accessory. As with the tube extension the clamp was easy to install and was just what we were looking for. You can buy this extension tube clamp at midwayusa.com. Since the stock setup for the Benelli M2 12-Gauge Tactical Semi-Auto only supports five 2 3/4” shells in the tube we decided that we wanted to add a tube extension to the firearm. The criteria that we use to evaluate tube extensions for a shotgun are: 1) compatibility with Benelli M2, 2) number of additional shells, 3) length of tube with respect to the end of the barrel, 4) manufacturing material, 5) fit and finish, 6) ease of installation, 7) ability to remove if desired and 8) price. Based on the research that we had done for our Benelli SuperNova we purchased the Nordic Components MXT +3B Modular Magazine Tube Extension Assembly (MXT-BN-3B). Although this product comes in +1 (3.5”) to +9 (22”) variants we chose the +3B variant since it increased our firearm’s capacity from six (5+1) to nine (9) 2 ¾” shells (8+1) and the additional 8.375” length of the tube would be flush with the end of the barrel. The tube is precision machined from 6061 aircraft aluminum tubing for light weight and strength. The tube comes with an oversize magazine tube spring that has to be trimmed to the appropriate length for the selected tube size. The tube also has a barrel clamp relief groove that stops the clamp from slipping and shifting under recoil, a reinforced end cap to better resist the damage that can be caused by heavy recoil or impacts, and identical threads on both ends of the tube body to allow it to be flipped around to change the location of the barrel clamp groove if needed to accommodate different barrel lengths. This entire package comes with the magazine extension tube, magazine tube nut, reinforced end cap and magazine tube spring. The installation was simple – screw off the original end cap, screw on the tube, trim the spring, screw on the new end cap and you’re done. You can buy this shotgun tube extension at midwayusa.com. Because we planned to add a sling to our Benelli M2, and to increase the stability of the tube extension, we wanted to add an extension tube clamp to our setup. The criteria that we use to evaluate tube extension clamps for a shotgun are: 1) compatibility with tube extension, 2) ability to support a sling swivel/adapter and 3) price. Because of the length of some of their tube extensions Nordic Components makes a companion Mag Extension Tube Barrel Clamp w/Picatinny Tac Rail. The barrel clamp connects the magazine tube extension to the shotgun's barrel to provide additional support for the tube and to prevent the tube from being damaged and/or misaligned with the receiver if bumped or dropped. The barrel clamp comes with a detachable Mini-Tac Rail, for adding a sling mount, light, laser or other Picatinny Rail compatible tactical accessory. As with the tube extension the clamp was easy to install and was just what we were looking for. 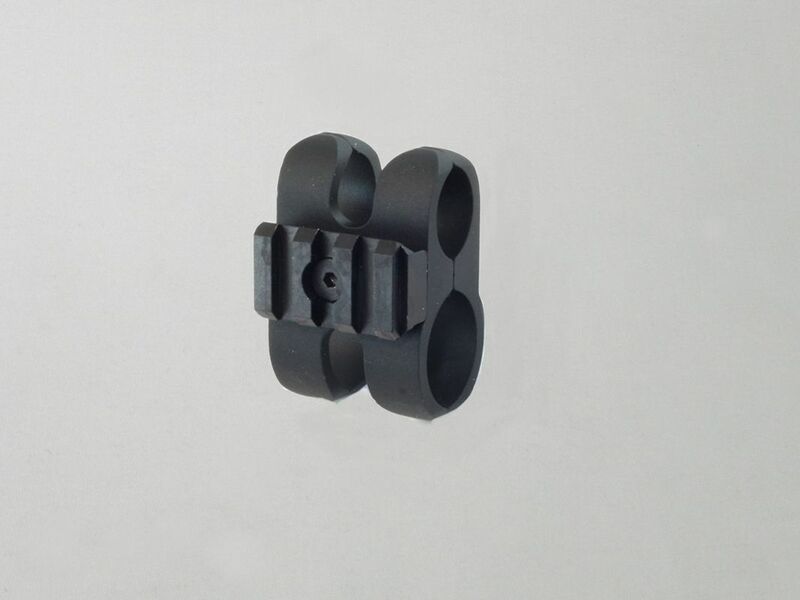 You can buy this extension tube clamp at midwayusa.com. Although I don’t really have much use for a bayonet, since I wanted to complete my Colt R6550 AR-15 rifle, I decided to purchase the historically correct bayonet for the firearm. The only criterion that I used was to identify the proper version of the bayonet and to then find one that was in good condition. 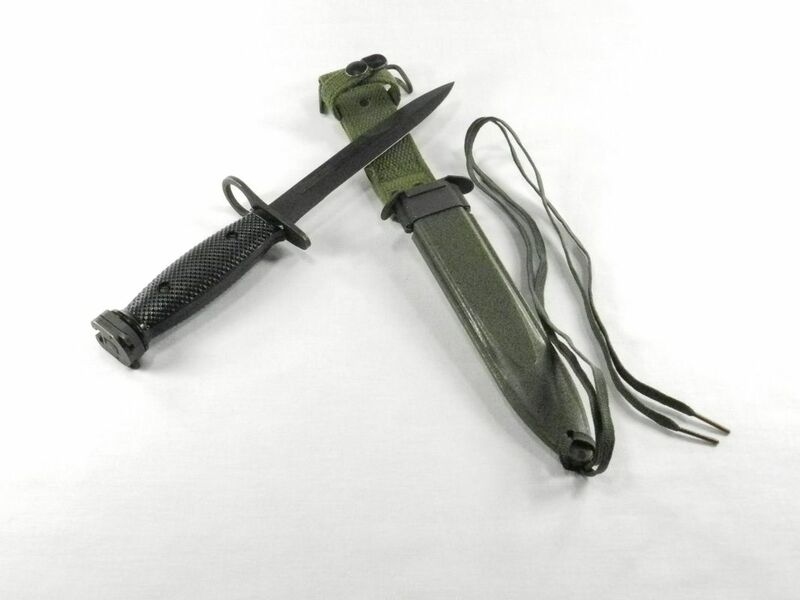 To complement the Colt R6550 the proper bayonet is the M7 with the M8A1 scabbard. I was fortunate enough to find a new, unissued USGI M7 Colt marked bayonet that was made in the US under contract from Colt Industries by The Imperial Schrade Corporation in the 1960’s. Since you will probably not be able to buy this bayonet at your local stores, you will probably need to go to gunbroker.com to find a previously owned one that someone else is selling.